Additional information: Son of the late Mr. and Mrs. Alexander McGaw. Employed at Bladnoch Creamery, Wigtown. 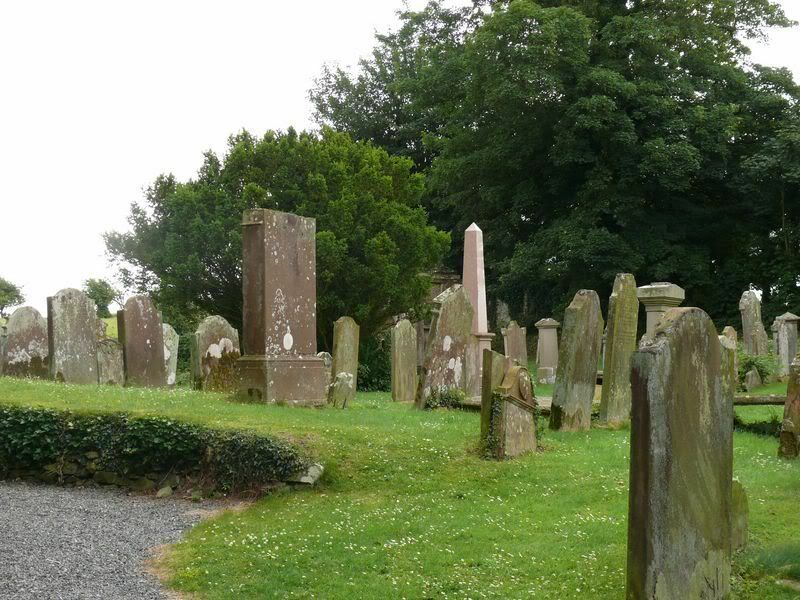 Wigtownshire Free Press (10 August 1916) reported: Intimation has been received that Mr William McConnell, son of the late Mr James McConnell, of Boreland and Maidland, has been killed in action. 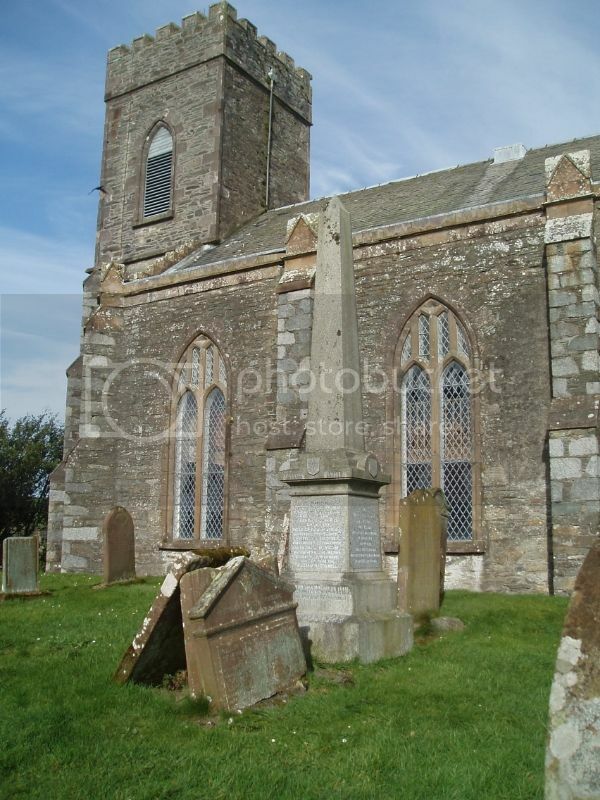 Additional information: Son of Charles West Jones and Agnes Jones, of 19, Seaton St., Ardrossan, Ayrshire, Scotland. Native of Wigtownshire, Scotland. 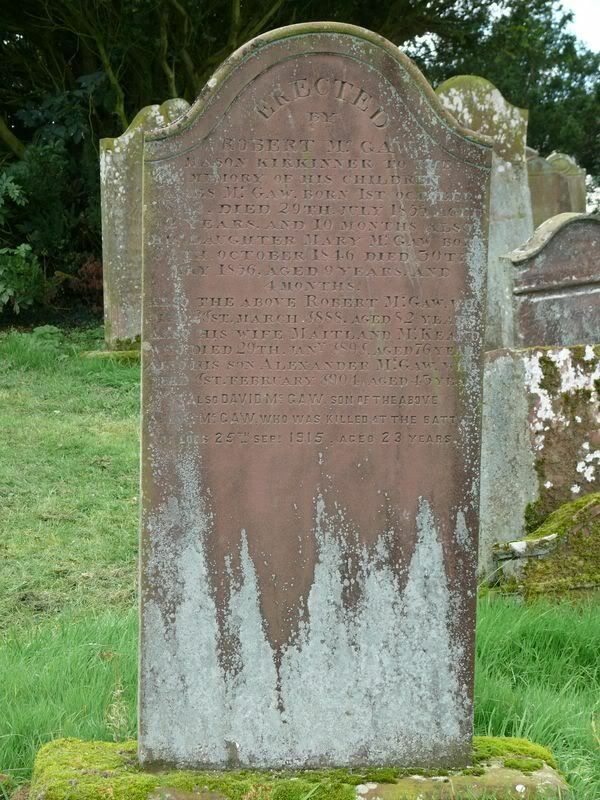 The inscription is obscured by lichen but a survey in the 1970s identified it as: Erected by William Donnan in memory of his son William who died at Balfern Cottage Febr 14th 1865 aged 7 years. 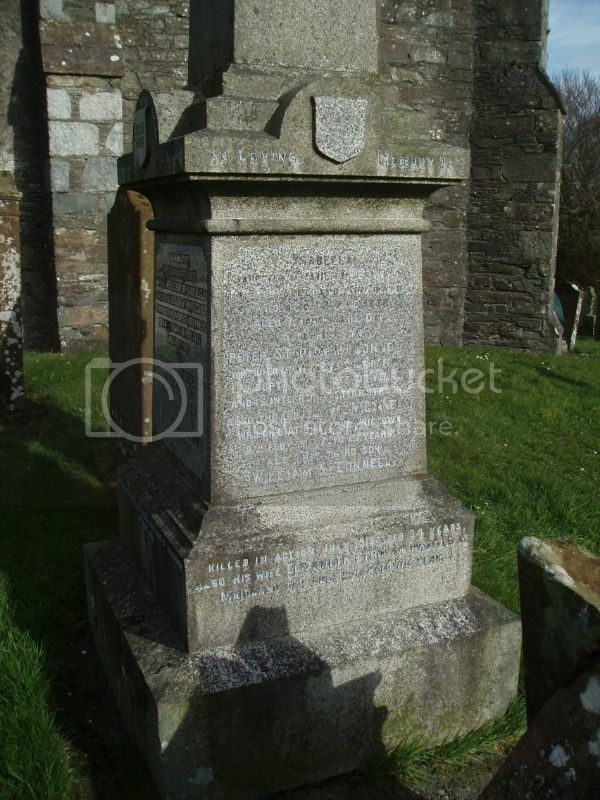 Also the above William Donnan who died at Whithorn Lodge 25th October 1893 aged 64 years. 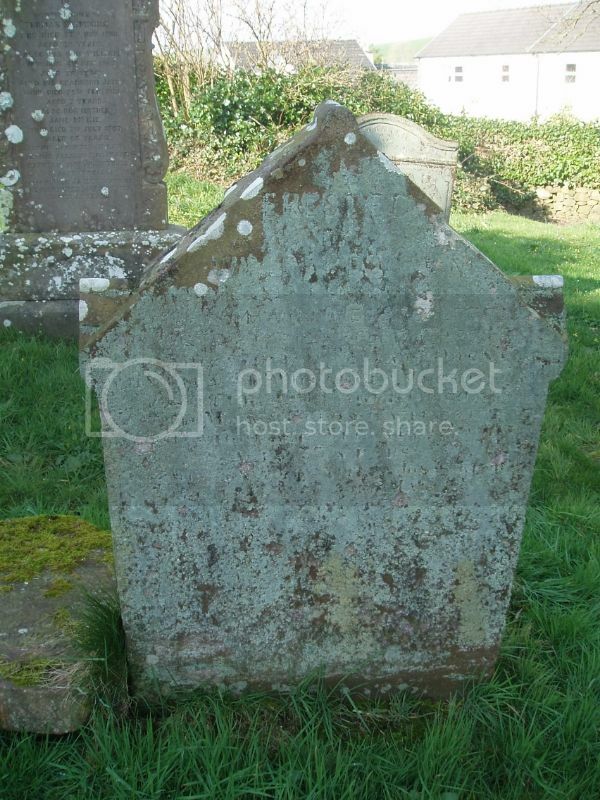 Also of Mary Carter wife of the above who died 9th April 1901 aged 73 years. 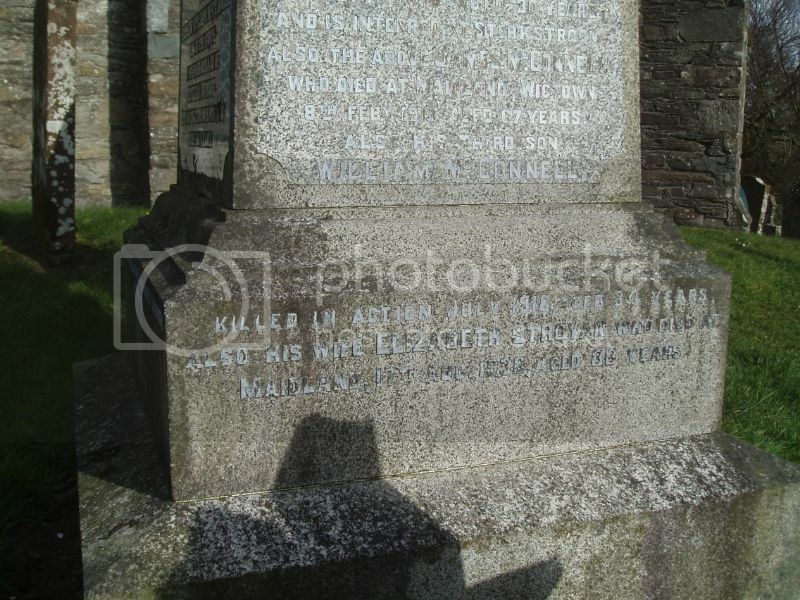 Also his grandson Alfred Jones killed in action in France 23rd March 1918 aged 33 years. My thanks to Ken Morrison who found that Alfred Jones was born in Liverpool. 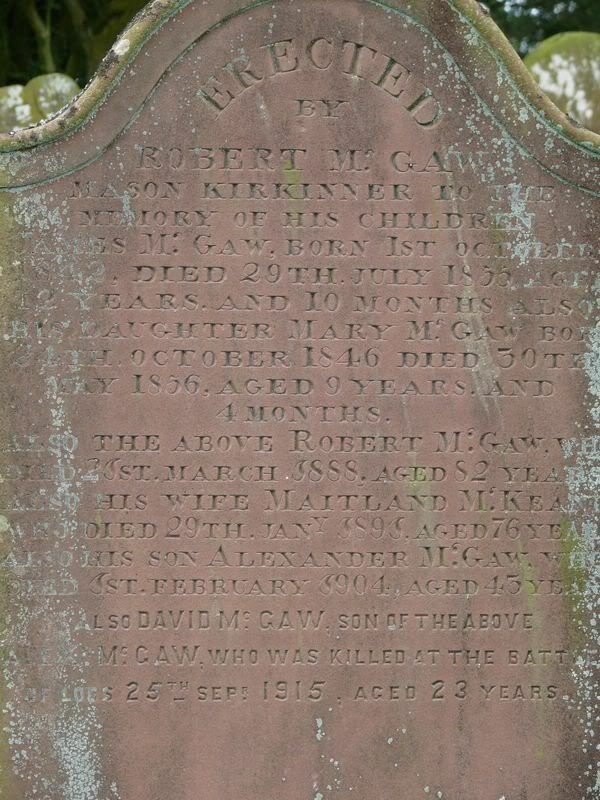 He was the son of Charles West Jones who married Agnes Donnan at West Derby, Liverpool in March Quarter 1878.